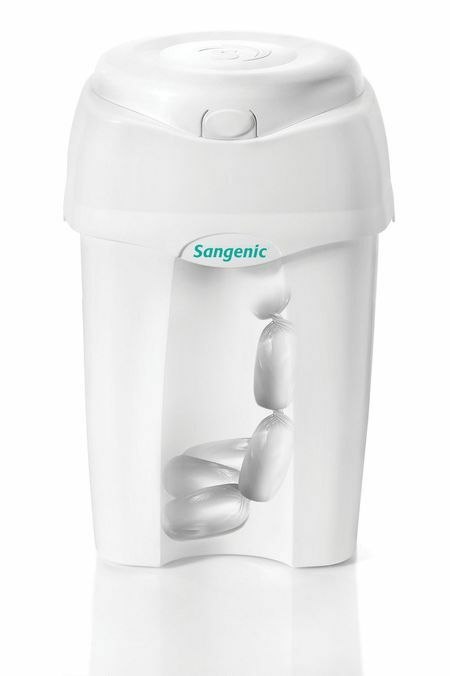 The Sangenic bin discreetly wraps each item placed inside within seconds, without odour or fuss. 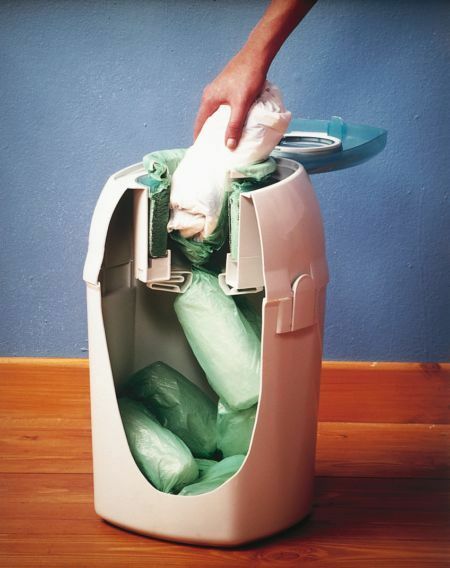 It is easy to use and fits neatly into the bathroom or bedroom saving repeated trips to the outdoor bin. Replacement cassettes contain film with anti-bacterial barrier and a fresh citrus fragrance. 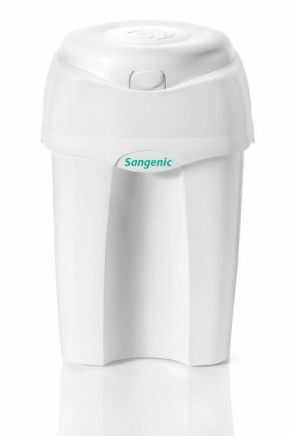 This compact sanitary bin can hold up to approximately 30 small pads, 18 medium pads and 11 super pads at a time. 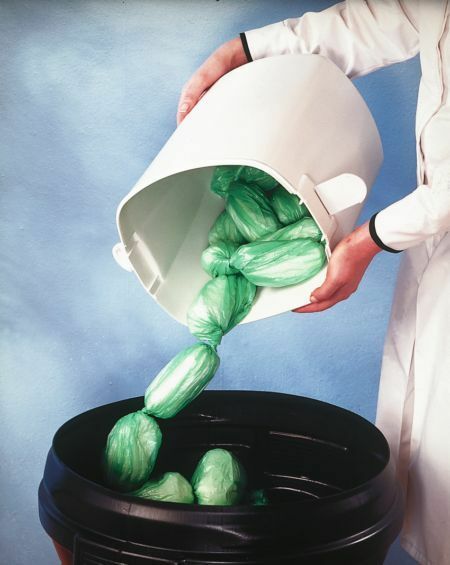 It is so easy to use, simply place the item to be disposed of through the hole in the top of the bin into the liner beneath and twist the handle 360° to seal the item within the film of the cassette. The bin is now ready for its next use, It’s that simple! Staff not happy that the lid has to be hand-lifted. This product is excellent,easy to follow instructions and very good customer service fom your team , with a very prompt reply from them!